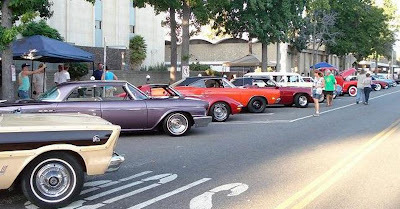 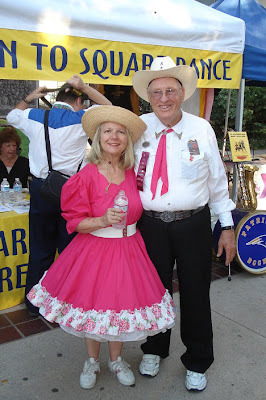 Thanks to Art Jacobs for these shots of the 100th Anniversary Celebration of Van Nuys. 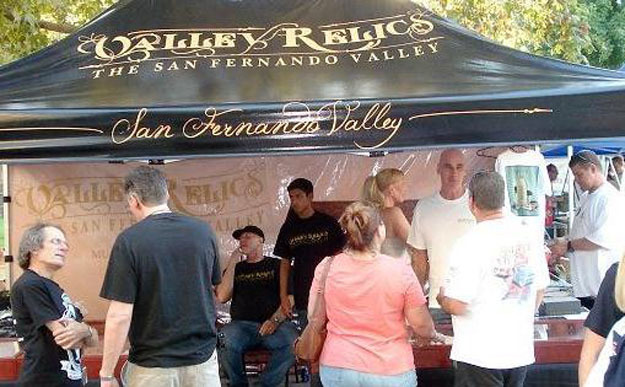 Tommy Gelinas greets some of his many Valley Relics fans. Tommy's intensive collecting of San Fernando Valley memorabilia and his exciting Valley Relics blog site, have stimulated a renewed interest in Valley history and culture. 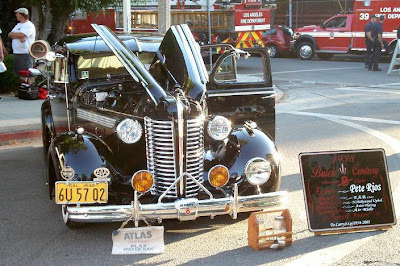 Antique car at the Taste of Van Nuys centennial event. 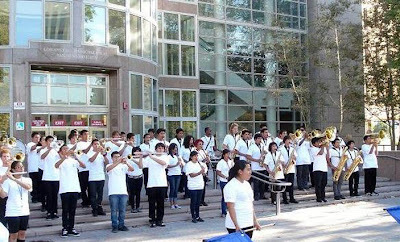 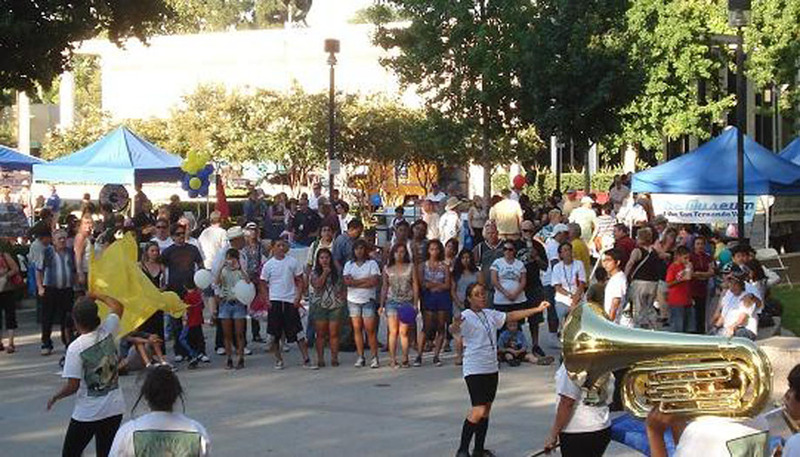 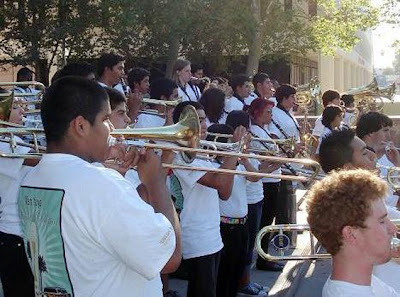 Birmingham High School band performs near The Museum of the San Fernando Valley booth. 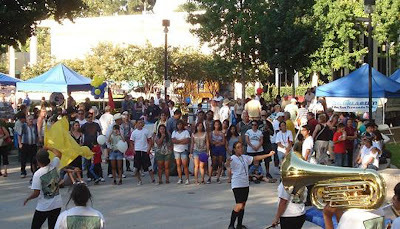 The great Birmingham High School marching band.